What Types of Compensation Could You Be Entitled to When Filing a Claim for Injuries Caused by a Truck Driver? If you are considering filing a claim for compensation following a truck crash caused by a negligent trucker, you need to know what compensation you may obtain for your injuries. This will help you decide whether it is worth it to file a claim and to know what to accept when you are offered a settlement. You need the assistance of an experienced truck wreck attorney to determine the exact compensation you should receive. However, by understanding the types of compensation truck collision victims typically receive, you can get a better sense of how your own claim may be settled. 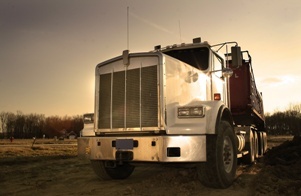 What Compensation Could You Receive in Your Truck Accident Case? Medical expenses. You are entitled to both your past and future medical expenses, which can include doctor appointments, hospitalization, surgery, physical therapy, medications, and psychological treatment. It can also include assistive tools, such as a wheelchair or modifications to your home, and travel expenses if you must travel to obtain medical care. It is important that you wait until you reach your maximum medical recovery or receive a final prognosis from your doctor so that you include all future medical expenses in your settlement. Lost wages. If you must take time off work while you recover from your injuries, you are entitled to compensation for your past and future lost wages. Lost wages also include the benefits you are losing, such as sick and vacation time, bonuses, commissions, and other perks of your job. If you must make a career change or become permanently disabled due to your injuries, you could be entitled to lost earning capacity damages as well. Pain and suffering. You are entitled to compensation for the pain and suffering that you experienced due to the wreck and your injuries. While you may have a sense of the medical expenses and lost wages you could deserve, you do not have the experience to value the pain and suffering portion of your claim. You need the assistance of an attorney who has handled many cases like yours to determine how much you should receive for the emotional trauma you have suffered. Property damage. The negligent trucker and trucking company are also responsible for reimbursing you for the cost to repair or replace your vehicle and damaged property inside it, car rental fees, and towing costs. Wrongful death damages. If a loved one died as a result of the crash, you may be able to file a wrongful death action and receive compensation for the loss of your family member’s financial support, advice, and companionship. If you need to file a claim for compensation following a truck accident you need to speak with an experienced truck wreck attorney as soon as possible. The legal team at the Hart Law Firm is here to take over the burden of investigating your crash and negotiating your settlement so that you can focus on recovering from your injuries. Review our case results to see how we have helped other clients receive the compensation they deserved, then contact us online or call us directly at 817.380.4888 to schedule a free consultation.